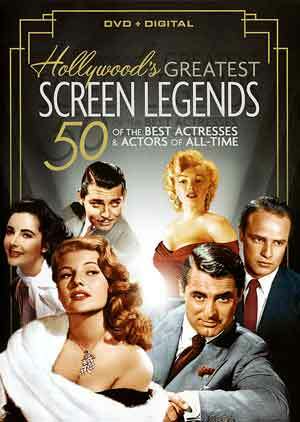 This documentary collection pays tribute to the greatest Hollywood screen legends of all time. Featuring 25 male and 25 female stars of the silver screen, these go in-depth on their lives and careers. These 50 episodes are spread across four discs. There are no features but it does include a Digital Copy code. Both the video and audio are average at best with a very local TV kind of feel with muted colors and what had to have been free music to go along with some public domain footage of the actors being discussed. Overall, Hollywood’s Greatest Screen Legends set might be cool in theory but these are episodes of something called “Hollywood Remembers” from 2000 and these were not professionally produced though you can at least see the passion as I doubt this was some money ploy. As for the set? Eh, pass unless you can find it for less than $5.